We are taught from every angle, at a very young age, to hold onto our belongings. From collecting baseball cards to buying and filling a china cabinet, to amassing boxes full of things we’ll never use again in our attics, it seems hoarding is an American tradition. What we rarely realize is how much the things we own in turn own us. 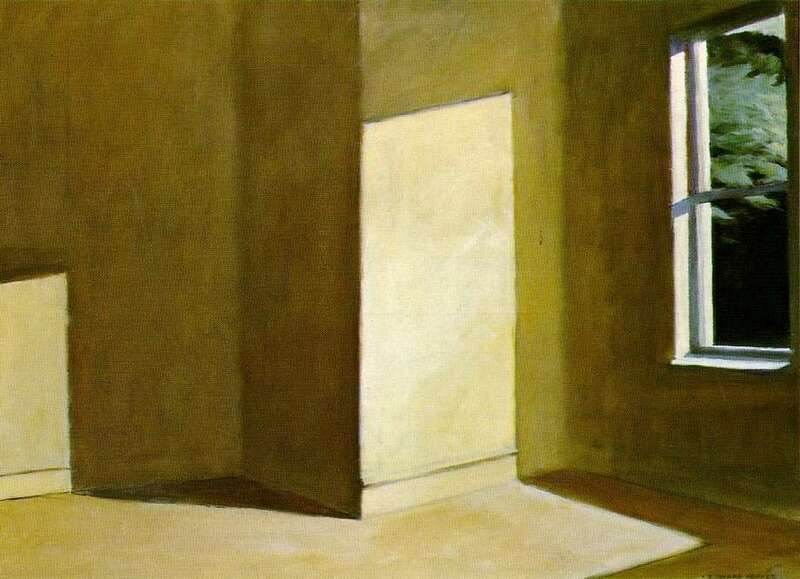 This post is not, however, a lesson on the virtues of minimalism. But rather, it is intended as a practical how to for those who have already realized that they intend to hit the road fulltime. You’ve sorted out how you’ll make a living on the road. You’ve organized where you’ll live, be it in an RV, short term rentals, or out of a backpack. You’ve thought up of where you want to go and who you’ll visit and what you’ll see, do, smell…and well, so on. But now you’ve got all of this stuff you’ve been living with, some of it for nearly as long as you’ve been alive. How do you get rid of it all? Sell it? Store it? Give it away? While you may be tempted to simply burn your house–and everything in it–to the ground, we’re here with a simple, practical guide to cleansing yourself of belongings. This is perhaps the most difficult of all feats I’ll present today. Boxes full of love notes you’ve held onto since high school, drawings you scribbled together in kindergarten, your first soiled diaper which your mother kept and passed on to you when you left home…it’s easy to have a ton of keepsakes you’re positive mean the world to you. “They’re memories, this is who I am,” you begin to think. The human mind is an amazing thing. It is capable of holding more information than all of the computers on Earth, even if we perhaps could at times use a good search engine in there. Unlike a computer though, which needs organized into icons representing various groupings of information, our memories are all just kind of “in there”. Ready to be accessed whenever an inspiring thought comes to light. You may think that owning all of this old stuff is what triggers these memories, but in fact it can be quite the reverse. You spend so much time looking at a clock your grandmother gave you that it becomes nothing more than a reminder of time passing, not your dear old granny. When we begin to accept our memories as the treasure, not the physical objects that represent them, only then can we really get down to the business of ridding ourselves of this monstrous pile of collections that ties us down. While digging out that chipped pot you made in high school every ten years may remind you of your first love, the girl you sat beside in art class freshman year, you know what? If that’s all that reminds you of her, believe me, the memories you’ll make hiking the Rockies and flying overseas for the first time or watching the sun set over the Indian Ocean will easily fill up the time you like to spend reminiscing. Unlike the endless space we seem to be able to make in our basements, attics and garages, we can’t make room for grand new experiences traveling while we’re living in a house full of dusty cardboard boxes marked “Memories”. Chances are, if you’re like most aspiring full-time travelers, you’ll feel the need to plan your new life of adventure’s start date several months in advance. 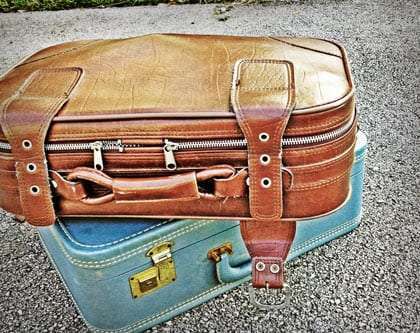 Don’t plan too far ahead, or you may give yourself enough time to chicken out, but two or three months can certainly be a blessing when it comes to shedding that excess baggage that doesn’t fit in your carry on. Tackle one room at a time. Sort through your bedroom closet, even. Pull everything out and put it on the floor or your bed. Put everything into two piles: things you’ve used in the past six months and things you haven’t. Likely, the “things you haven’t” pile will be much larger. Want to learn about minimalism from the pros? 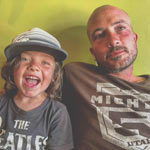 We interviewed some amazing people living with less in our October 2012 issue. Next, look at your two piles. Start with the “things you haven’t used in six months” pile and decide what is trash and what’s worth something. It can be hard to tell which is which, but here are a few good rules to keep in mind when determining if something has value. If it involves crayons and your children, or crayons and you as a child, it’s trash. If it’s broken, it’s trash. If you wouldn’t ask someone for five dollars for it, it’s likely trash. Put everything that’s worth something in a room, we’ll get to that later. Trash the rest. With what remains, think about each item’s purpose. A sweater you wore two months ago once is probably not going to make the cut. Of the seven spatulas in your kitchen, did six of them get used only because the one you really like was dirty at the time? Are all fifteen of your Ginsu knives necessary, or could one cut through dinner as effectively as the other seven? If you’re simply in love with cooking, the answer may be “yes”. For most of us, it’s not. If you haven’t worn that sweater only because it fell behind everything else in your closet, and you absolutely adore it, well maybe something else can go. Personally, I keep no more clothing than can fit in my (relatively small) suitcase. That way, wherever I go, I can bring my wardrobe with me. Mine and my youngest son’s suitcases. This is the largest factor in how much excess you need to find gone. If you’re planning on living out of an RV, for example, you will only be able to bring along a sliver of what you’ve owned in a home. That sliver of your belongings, however, is reduced to a fingernail clipping if you’re planning on living out of a camper van, a backpack, or even moving from one short term rental house to another. If you’re living out of a backpack, or a few suitcases, and planning on moving into a new apartment every few months, you will largely be relying on the furnishings (including kitchenware, cleaning supplies, and their ilk) provided by the person or agency renting you your living space. If you intend to stay in hostels and campgrounds, though, you may want to bring along some silverware, a pot, or whatever you might specifically need to make your own food. Your situation will determine the amount that you can keep. Since the vast majority of full-timers do live out of an RV, though, you have it a little easier. First, grab some graph paper, a tape measure and a pen. Go to your RV, and room by room, diagram out what space you have. Night stands, bathroom storage, cabinets in the galley, space underneath your foldout couch, make a note of the dimensions of all of these areas and which rooms they’re in. Now, stop by a grocery store and try and find a few boxes that are roughly the same dimensions. If you’ve got five drawers that are all the same size, you don’t need five boxes, just one will do. Head home and look at your pile of things you’ve decided you absolutely cannot live without. Organize them by what room they naturally would find themselves most useful: towels in the bathroom, books in the bedroom, dishes in the kitchen, and so on. Look at your graph paper, all of the drawers you’ve plotted, and start putting items into the appropriately sized box. Once you fill up a box, empty it into a neat pile out of the way of your main pile, cross that storage space off of your list, and move on. Remember to leave room for food, paper towels, toilet paper, cleaning supplies and RV essentials like your jack stands, leveling blocks, etc. It will be tempting to try and fit as much as possible into every last one of those storage spaces. Remember though that weight is fuel when lugging your home around, and so every last ounce you can shave will add up to big savings that can be used for more experiences while on the road. You’ll also undoubtedly come across things while you’re traveling that you’d like to purchase, and you may want to have room to grow these things. Whether you leave that room now, or live by the “one in, one out” rule, is completely up to you. There are also companies that do this sort of thing for you. Just Google “estate liquidators” in your area. Now you’ve got everything you’ll be taking with you. The weekend before you’re scheduled to leave, throw a moving sale. Make some signs and hang them around town. Put an ad up on Craigslist. Yard sale types are fanatical about rummaging through your stuff and forking over cash for what you now consider garbage, they will find you with even the slightest bit of effort. Put larger ticket items like furniture, vacuum cleaners, washing machines, dryers, espresso machines, etc. on Craigslist, too. People will pay more for something on Craigslist than they will at a moving sale, and a good deal of your stuff will go even before the big day. Everything you’ve owned will not go at the yard sale. If you’re lucky, the bulk of it will disappear, particularly the larger stuff like couches and heavy dressers. With whatever’s left though, you’ll need to haul it off to a Goodwill or other thrift store in your area. When you’re packing random this after that into boxes and garbage bags, you’ll wish you’d let your espresso machine go for $15 instead of giving it away for the price of the heavy lifting that it (and everything else) is. Thrift stores can even write you a receipt, generally for whatever amount you tell them your donations are valued at, which you can then theoretically write off come tax time next year. What?! Do it all again? That’s right, inevitably you’ll go through a similar process again after a few weeks when you realize how freeing it was to eliminate so much sentimentality-gone-clutter in your life. You’ll want your backpack to be lighter or your RV closets to be easier to get into and out of. For many, if not most of us, a move towards minimalism, a three gear shift in our attitude towards possessions, occurs. Once you get the bug for having less junk in your life and see how it in turn provides you with more fulfillment, more opportunity for experience, it can be hard to stop. Just remember, everyone needs a toothbrush! Want more info on getting on the road? We’ve got guides on How to Make a Living on the Road, how it can be cheaper to live on the road, how to roadschool your kids, how to create your own travel blog and of course, more with each new issue of Wand’rly. One traveler’s experiences living and learning on an organic farm.